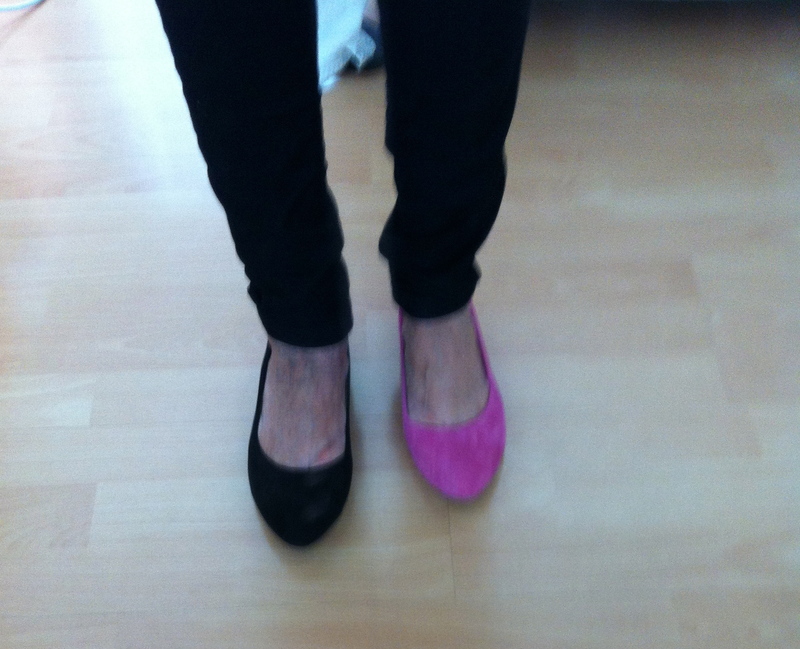 I don’t like ballet flats at all. I think they are awful for a few reasons. On the other hand there are flats I call skimmers. These are not everywhere like the ballet flats and take some searching to find. Well, I found these. The reason that there are two colours in the pic is this. If you bought one pair at full price then the second pair was $10. You can’t go past that. Whether or not I wear the pink ones much remains to be seen. They are leather upper (suede) and lining and just for a change are made in India!! I’m liking the fact that there is no toe cleavage and they are real leather with a pointier toe. I wish I had photoshop to erase the veins. I am also making a prediction that white pumps will be HUGE this Spring o/s and then of course here. I would like some with a 3 1/2 inch heel and a silver toe cap. The only ones I can find at the moment are too high for an oldie like me. I looked for months and months for black pants with a white stripe down the side in a soft fabric, not a jean, and finally found them at asos. Now of course they are in all the shops. Stay tuned for my next big thing.